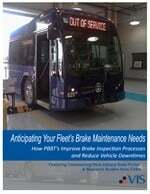 Are Increased Roadside Motorcoach Inspections Missing the Point? In testimony submitted to the House Committee on Transportation and Infrastructure’s subcommittee on Highways and Transit in April, the American Bus Association (ABA) said because the current federal/state partnership for motorcoach inspections was “broken” passengers are being put at risk. Aside from also submitting a list of recommendations, including the establishment of a bus inspection program in every state that includes training for, and testing of, inspectors specifically for motorcoaches, several issues were exposed that are shared by motorcoach operators around the country, including the inconsistency of inspections from state to state — some states do inspections, others do not and some do more, while others less — and the lack of a uniform process for all federal and state officials who perform the inspections. METRO spoke with motorcoach operators across the U.S. and found that while the issues mentioned by the ABA do exist, they may in fact be more concerned with the federal government’s use of those inspections to create scores that are viewable to the public, which include no opportunity for them to tell their side of the story. In the wake of several high-profile accidents, the Federal Motor Carrier Safety Administration (FMCSA) introduced the Compliance Safety Accountability (CSA) program in December 2010. Many in the industry say they have noticed an increased amount of roadside inspections over the last few years, but don’t feel like they are necessarily having the desired impact. The goal of the CSA program is to allow the FMCSA to reach more carriers earlier and deploy a range of corrective interventions to address a carrier’s specific safety problems before an incident. The centerpiece of CSA is the Safety Measurement System, which analyzes all safety-based violations from inspections and crash data to determine a commercial motor carrier’s on-road performance. That information is then made available to the public as an overall score, so they can make a more informed decision before selecting an operator for their trip. Some in the industry feel the usage of these inspections is negatively impacting CSA scores, and perhaps, missing the larger point — safety. Brian Scott, president of Largo, Fla.’s Escot Bus Lines explains that during one inspection, his operation was written up because the legal lettering on the coach had the correct U.S. Department of Transportation number, but was missing “LLC” in the name of the company. Many in the industry also consider the problems with roadside inspections to be regional. For instance, LeBron explains his operation’s coaches were inspected approximately 40 or 50 times last year, since New York is more stringent with its inspection process. Still in other states, there are no inspections, and as the ABA pointed out in April, those states have become “safe harbors” for unsafe operators wishing to escape the inspections entirely. Sometimes, inspections are performed at weigh stations on motorcoaches that are full of passengers and on a stringent time schedule. Overall, many in the industry say they have noticed an increased amount of roadside inspections over the last few years, but don’t feel like they are necessarily having the desired impact. While increased inspections can be a bit of a nuisance, some operators like Tenn.’s Anchor Transportation have seen their CSA scores increase because they have passed a larger amount of inspections. From the FMCSA’s point of view, its focus on safety as well as the implementation of its CSA program has taken many unsafe operators who shouldn’t have been on the road, out of business — permanently (The FMCSA was asked to comment but had not as of press time). However, some argue that FMCSA is imposing rules and regulations on an entire industry, which has been historically safe, just to catch a few bad apples and is missing the larger issue — the actual operation of the vehicle. As for the impact of roadside inspections on an operation’s CSA scores, it’s a mixed bag. At Anchor Transportation, for example, Stancil explains that state authorities park outside of his facilities and inspect buses as they return from trips, a nuisance to be sure, though he explains it has proven to be a positive for the operation’s CSA score. “Since we have so many more inspections that have no violations, it is having a favorable impact as it has moved us to another tier,” he says. Not everybody is a fan. LeBron explains an incident where his driver had run over a nail and the tire was losing air. A truck was on its way out to fix the flat and a motorcoach from another company was already on its way to pick up the passengers, however, the vehicle was placed out of service by the inspecting officer. “It’s the rules, I get why the vehicle had to be placed out of service, but how does the consumer know what happened when they look up your score and see an out of service violation with no explanation?” he asks. Scott says there are just too many things that can get a vehicle put out of service. Operators do say the FMCSA’s efforts have really forced the industry to step up its game, but they still feel that placing so much importance on CSA scores is the wrong move since many customers ultimately consume based on price. In the meantime, operators say their key defense in making sure their employees know how a roadside inspection works and what they can do to be prepared comes down to constant communication. Scott adds it’s also been important to stress how the inspection process impacts the drivers as well.